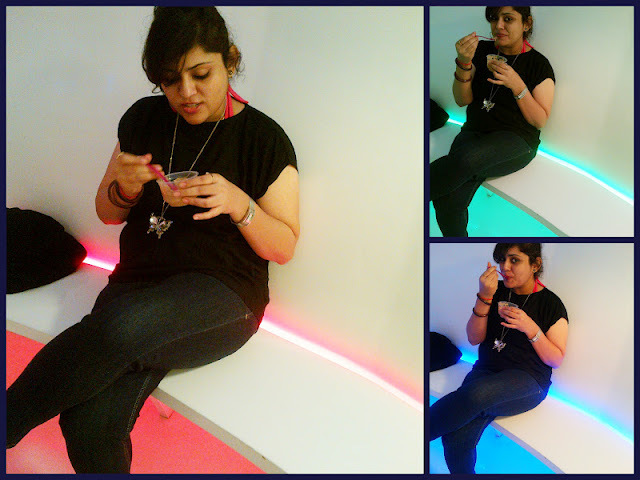 Caramel Wings: Food Review : Smooch Frozen Yogurt, Juhu. Food Review : Smooch Frozen Yogurt, Juhu. Let me start this way : I am not a huge fan of Frozen Yogurt. It has always been Gelato > FroYo for me as a personal preference. I stopped having FroYo after I went to the much hyped YogurtBay and had the Mango Yogurt which tasted like Shrikhand. I feel that it is all about finding the thin line where a FroYo stops being FroYo and starts being an overly sweetened ugly variant of Gelato/Ice Cream. I had been driving past Smooch since a couple of months and the name always caught my attention (admit it, we all have a dirty mind) albeit it was subject to ridicule over how and why would anyone name their FroYo chain that. But then I got invited to the place and I thought it was a good opportunity to check what the fuss was all about. 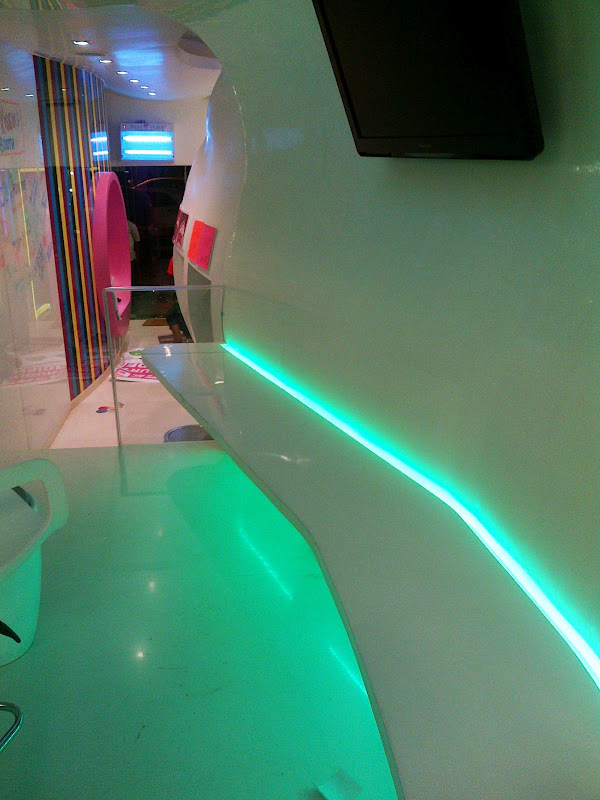 There are 2 interesting concepts with Smooch, the first one being that it offers seating. It was nice to see the lovely decor with neon lights and it was very refreshing to be a part of that atmosphere. A special shoutout for the person who was playing music because I feel it can totally make or break a customers experience! Loved the playlist and loved the volume control, not too loud yet not too low, and could speak in a normal tone with the opposite person being able to hear me. 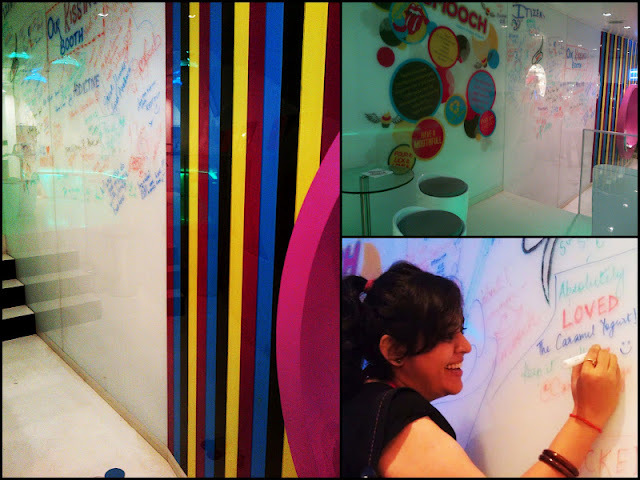 Other than that, one of their sparkling white walls has been converted into what they call a "Kissing Booth" where customers can leave messages with their markers! Nice way of getting interactive and adding a fun element to the place! 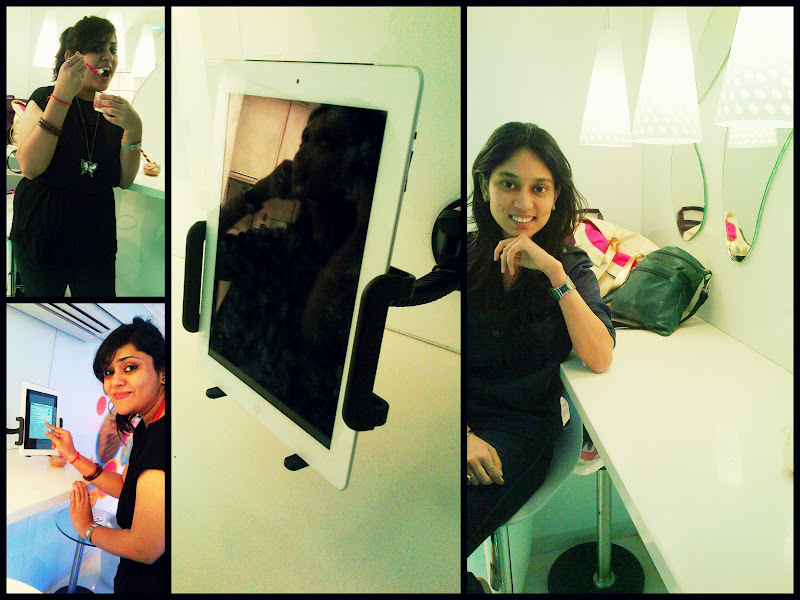 Speaking of fun, they also have an iPad installed in the store and you could play around with it while you chill with your Smooch Yogurt. I managed to take a picture with my +1 on the iPad and tweeted it live right from the iPad. Yay to free WiFi! Smooch also offers free toppings to people who check in to Foursquare and anyone who is a Mayor gets a 50% off on their FroYo. They also plan to come up with a small festival consisting of fun things like Tarot Reading, Yogurt Tastings among other things! But it all comes down to the FroYo and here is where I state the 2nd interesting thing about this place, which is the pricing. You pay for the FroYo by weight. 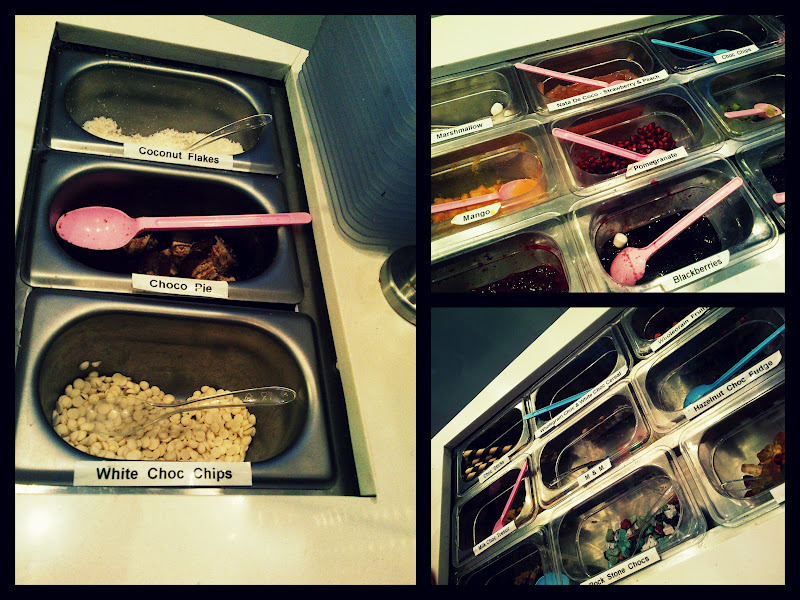 0.80 INR per gram of FroYo and if you add toppings, it goes up to 1.10 INR per gram. So we're looking at a cup of Yogurt that would cost anywhere between 80-110 INR but the real question is, is 100 grams enough? Moving on, Smooch has over 80 flavors of FroYo which they keep rotating on a daily basis so you would not get a repeat telecast of the previous day if you are a daily visitor. 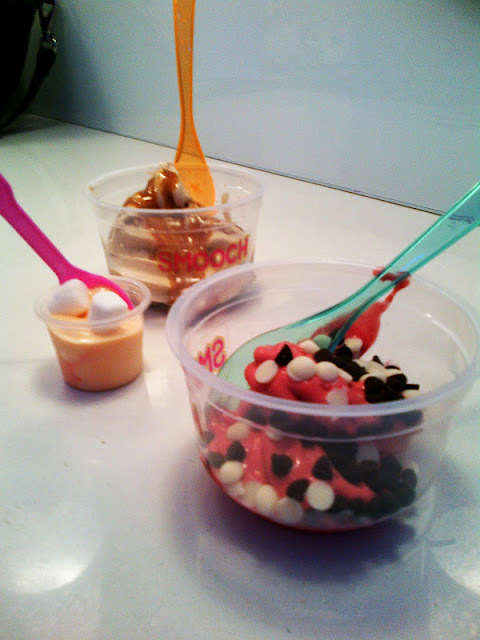 we got to sample 6 different flavors of Yogurt that evening. The original Tart flavor, a Mango flavor, the Brownie flavor, the Red Velvet flavor, the Orange Sunshine and a special flavor that they came up with just because I was visiting, The Caramel Yogurt (Seriously, how sweet is that???). There were also a variety of toppings going from Gummy Bears to crushed Cookies to Marshmallows to Chocolate Chips to Fresh Fruits to Chocolate and Caramel Sauce. Loved the selection of toppings! 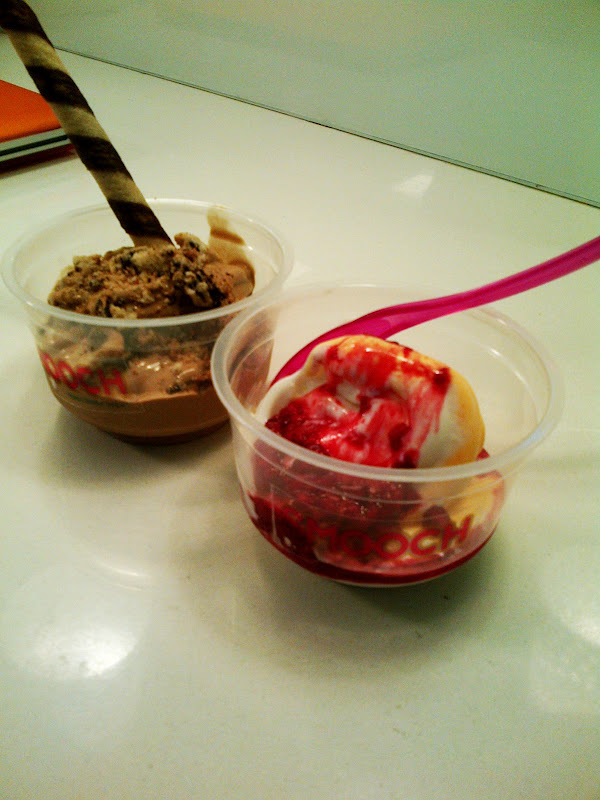 The Tart Yogurt was the plain Frozen Yogurt. 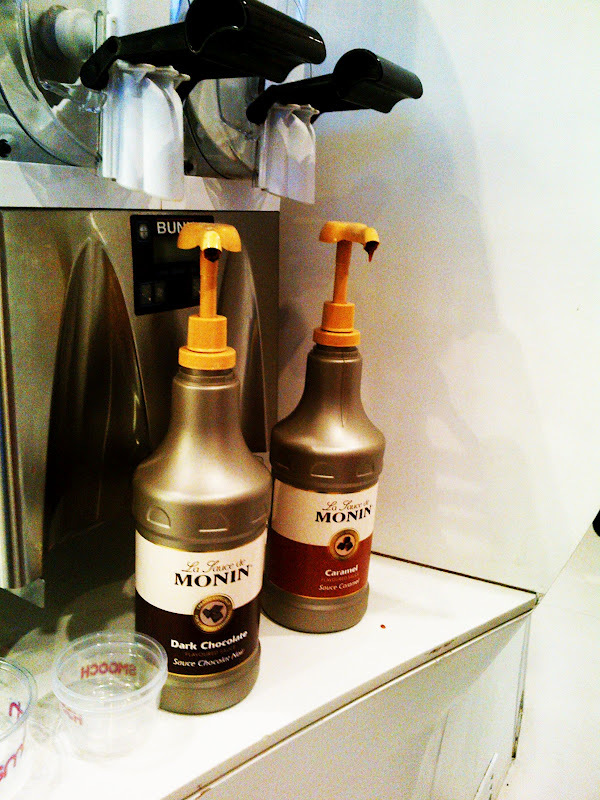 Staff told me that it was one of the most loved flavors but honestly I felt there was nothing so special about it. 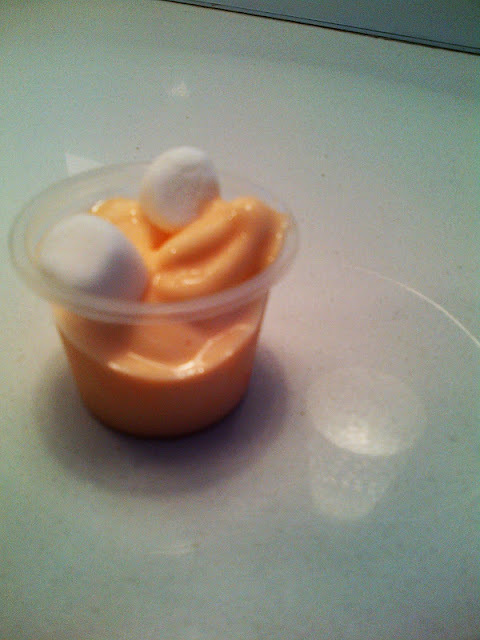 The same goes for the Mango Yogurt. It was just okay. Thankfully not Shrikhand like though! We got both mixed and topped with Raspberry sauce. Nothing to write home about. We then moved on to the Brownie Yogurt which was a bit too tart for my liking and even with all the toppings it did not manage to grab my attention. And when you promise me a Brownie Yogurt, I am definitely going to be looking for Brownie bits in there, which were absent. The Red Velvet Yogurt which is one of their most popular flavors was a pleasant one though, with a nice balance between the sweet and sour. We topped it with some chocolate chips and all was happy and merry again. But we still had 2 more flavors to go. 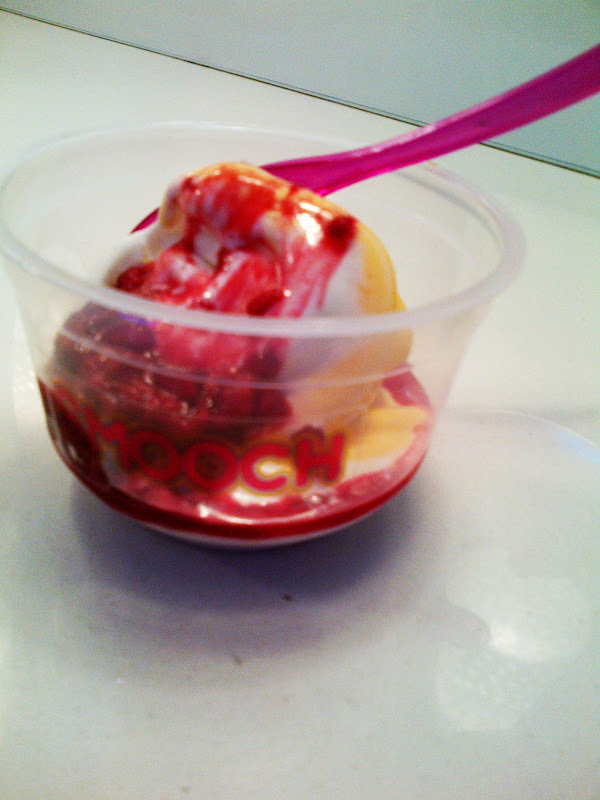 I think the Orange Sunshine is the underdog of all flavors at Smooch. We took a really small serving because we were not looking forward to it but we were surprised and how! Beautiful Orangy aftertaste coupled with perfectly silky and luscious Yogurt had us going back for seconds. Well done on this flavor combination and I recommend all of you to try it. But wait, it gets better. The moment had arrived when I got to taste what was lovingly made for me so I hastily but excitedly grabbed a small portion of the Caramel Yogurt and topped it with their Italian Caramel Sauce and I wish there was a picture of me while eating it, but to cut a long story short, a lot of orgasmic voices followed. 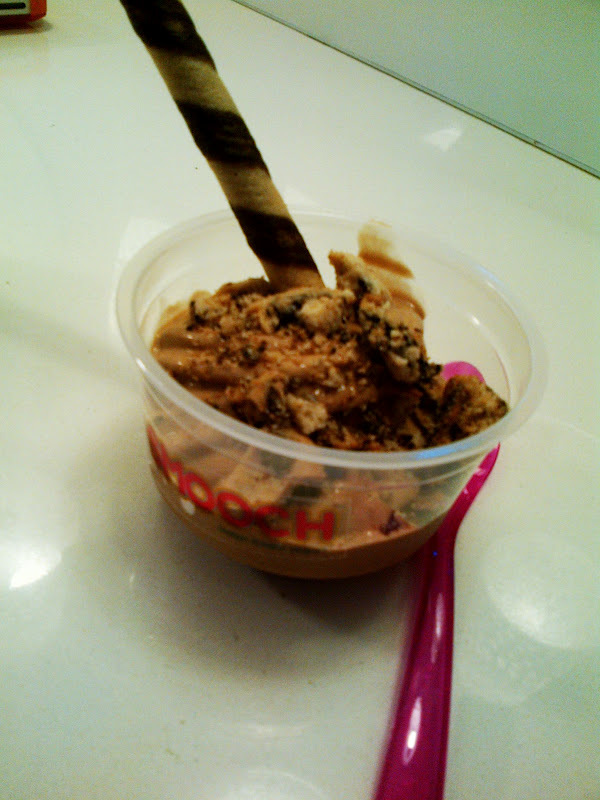 I vote for this Caramel Yogurt as the star of Smooch!! Not just because it was Caramel (well, a little bit) but also because they absolutely hit a home run right out of the ball park with this flavor! These two flavors were so amazing that I actually got some packed to take back home for the brother and parents, and my brother hates Yogurt of all kinds and has given two thumbs up to Smooch!! Way to go guys! So the verdict, guys, is that Smooch is definitely worth a visit, and I wish them the best and advise them to come up with interesting and amazing flavor combinations like they do on a daily basis. Keep it up! 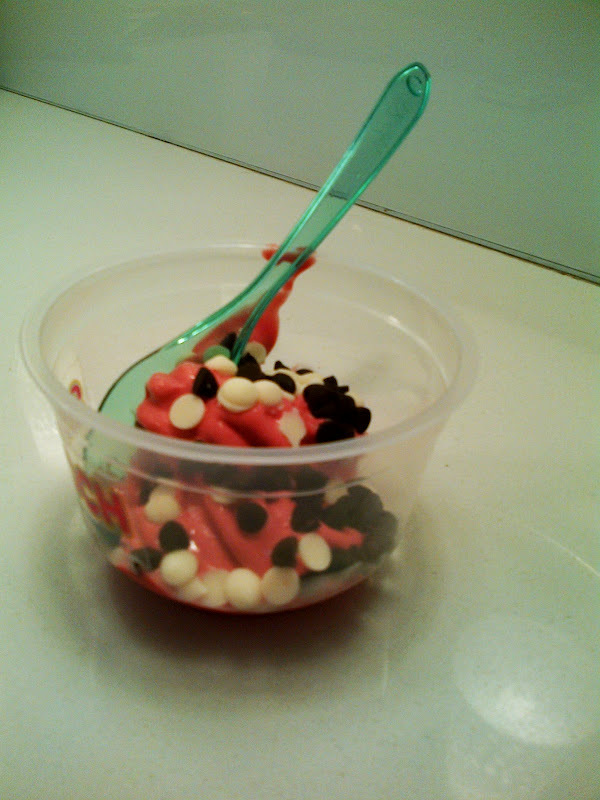 And I end this by saying that I may be a closet FroYo lover. Love the decor of the place. Worth a visit but I am still to take up the concept of Froyo. Try going to Surat and going to Matho places, they win easily over any of the Froyo places in Mumbai.